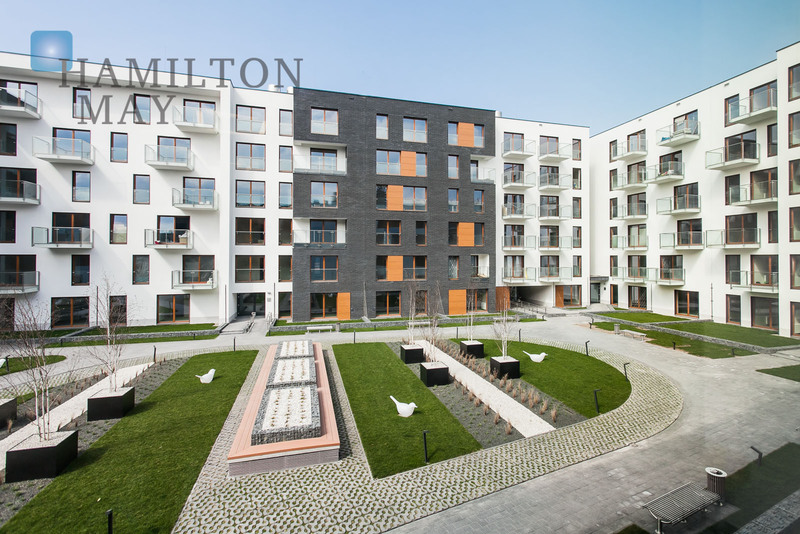 Hamilton May is pleased to present a unique, brand new apartment available for sale in the city center, in the new NOVUM Apartments development. Hamilton May is pleased to present a 2 bedroom beautiful apartment available for sale in the city center, in the new NOVUM Apartments investment. 'Novum Apartments' is a modern residential complex in a truly unique location; the Racławicka street lies in the very center of Krakow. 'Novum Apartments' investment comprises 4 buildings of various size (4-9 floors), which - despite of their modern character - blend really well with the surrounding area. The investment features a vide range of apartments in various sizes - raging from 25 to 130m2, offering 1 to 4 rooms. As expected from the new investment, the apartments have been efficiently designed, allowing a lot of flexibility and individual arrangement ideas. Most of the offered apartments have balconies - all the staircases are accessed through the courtyard.